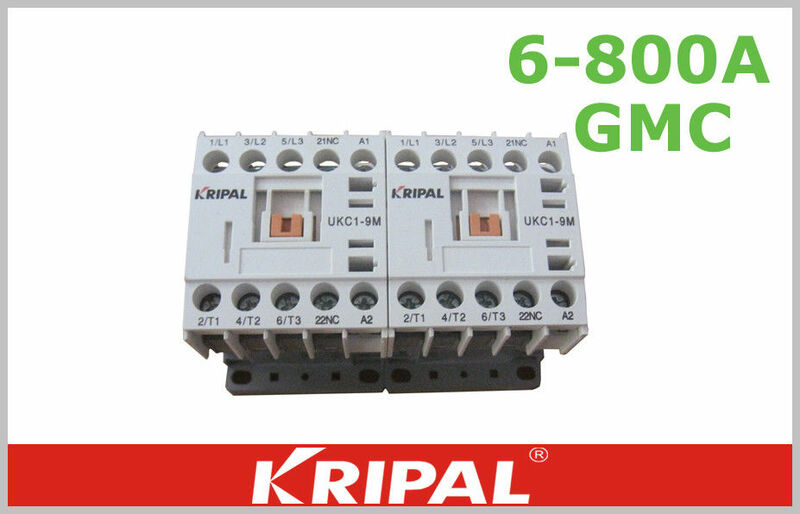 The power consumption of the UKC1- low consumption type contactor is 1.2W. AC Contactors (Magnetic Contactor) provide remote control of primarily electric motors and compensation & heating systems by cable. They protect the instruments and equipments against overload currents by using thermal relays, for capacitor switching contactor. While switching on a capacitive circuit, a high frequency and large transient current peaks are produced. Switching of capacitor for a single or one of the capacitor banks are different from each other. Step by step "switching on" operation is more difficult for contactor than capacitor bank. Because during this operation for capacitor bank, compensated current occurs. For this reason selecting of suitable contactors the compensating current must be take into consideration for 50kVAR and above, and for less than 50kVAR can be omitted. 2. Altitude does not exceed 2000m. 3. The tilt with the vertical is not more than 5 degrees. 4. The pollution degree of installation sites is level 3. 5. Installation category is class II. 6. No space of significant shake and shock and vibration.